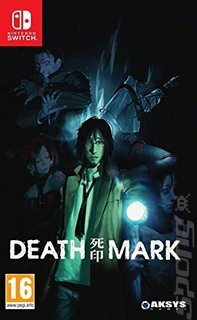 At first glance Death Mark looks like a standard Japanese visual novel, with painted backgrounds overlaid with text and various options to choose from. As you progress, however, you'll need to investigate the particular spirits you're tussling with by exploring different locations and searching for clues and objects that will help you. This plays out as first-person exploration and it feels more like a Phoenix Wright game than a traditional visual novel. There are multiple different endings to Death Mark. Will you have the constitution to take the Mark and enter the fray again to discover them all?